Big show going down this Wednesday at Barracuda, with bands from all over the globe! 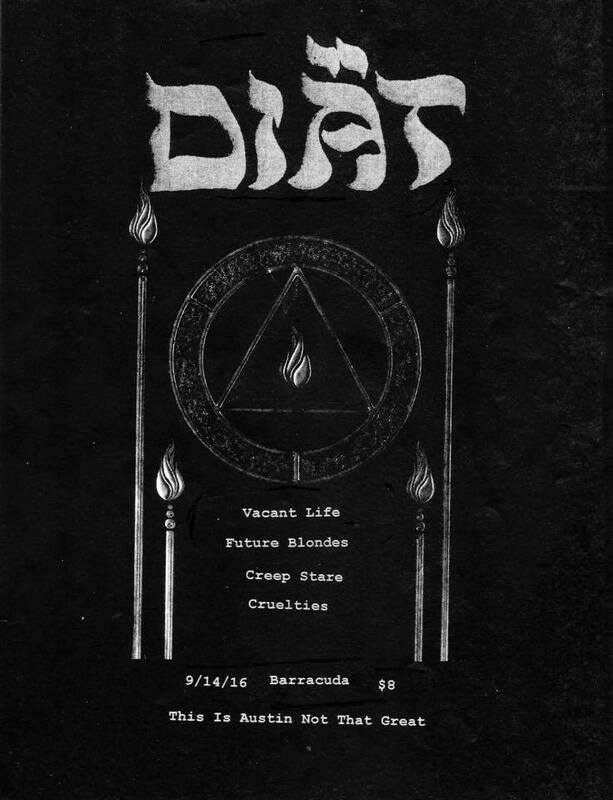 Diät, Vacant Life, Future Blondes, Creep Stare, & Cruelties all converge upon Austin to bring one hell of a show. Tickets are $8 and the show is all ages!